New times are coming for Vietnam, after Ron Daniëls has been in in Vietnam a couple of times to work in the Army for Vietnam he will now start to work for the Vietnam Badminton Federation as the first National coach from Europe ever. Mr. Ron will replace the Chinese coach that has been working in the national trainings center: "Trung tam huan luyen the thao quoc gia Da Nang." Mr. Ron is the first coach from Europe because in Vietnam the federation wants to learn more about Denmark Badminton and the Vietnam coaches have to learn from him to think like players in Denmark. It will be very difficult in the start because most of the players don't speak English and Mr. Ron talks a lot and not only gives training in the hall but also a lot in theory about all the tactics in badminton. He will also be the new English teacher a couple hours a week. For the players in Vietnam it will be very difficult too, now they have only been working with coach from China and only do hard work and more hard work. Now they also have to learn to think and think in the Danish way. After a couple months training we will come with a group players to Oro to see how things are done there. So on the Oro camp there will be more Vietnam players this year to play all the girls and boys from Europe. All the players are looking forward to come to the Oro camp and have a special month in August. In the first couple of weeks I will be the assistant coach for Mr. Ron and I'm looking forward to work with him again and learn new things to make my game better. Vietnam welcomes the top coach from Holland a lot. 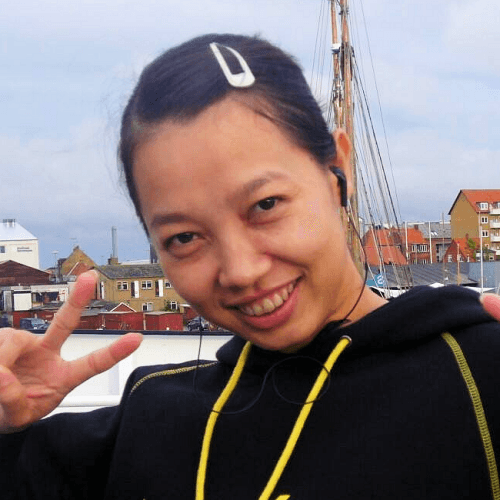 Huynh Nhut Duong is een Vietnamese badmintonspeelster die de opleiding tot elitecoach volgt in Denemarken. Ze verblijft daarvoor op het eiland Oro.